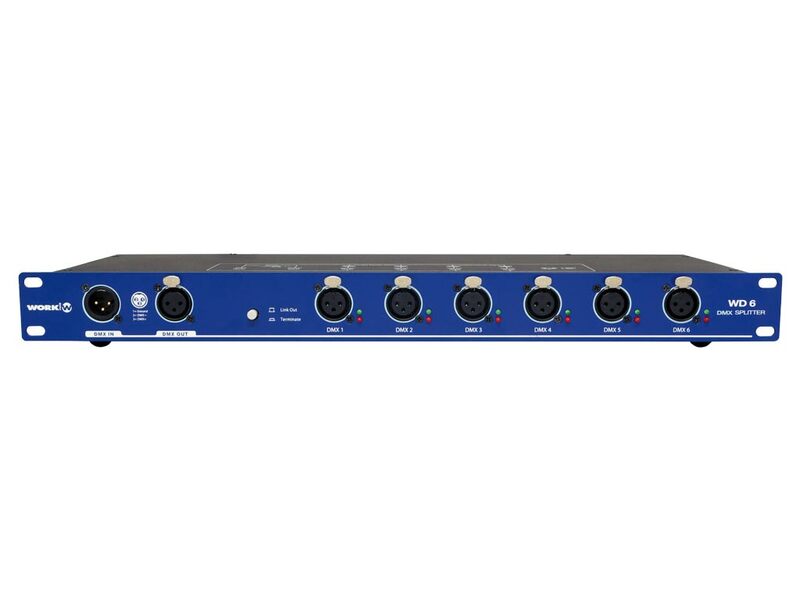 The WD 6 Splitter is a 6 way DMX distributor with a 3 pin and 5 pin XLR input Jack. 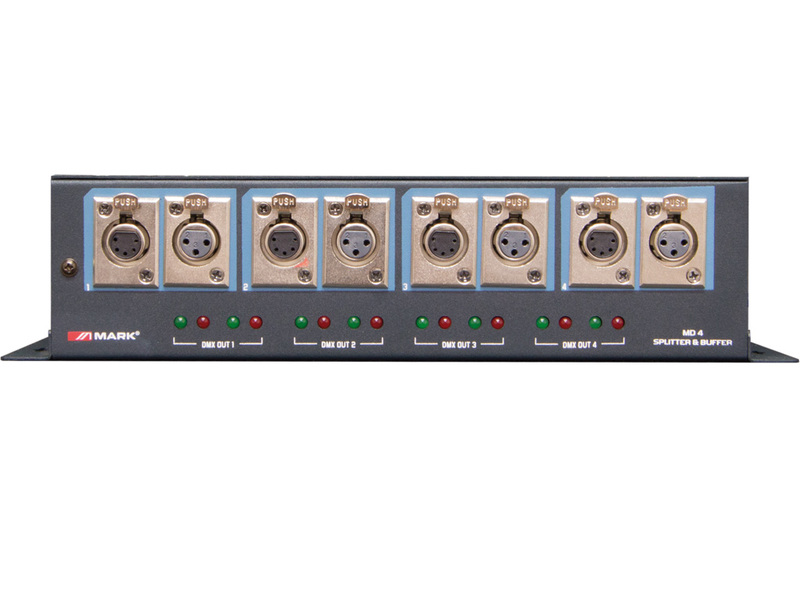 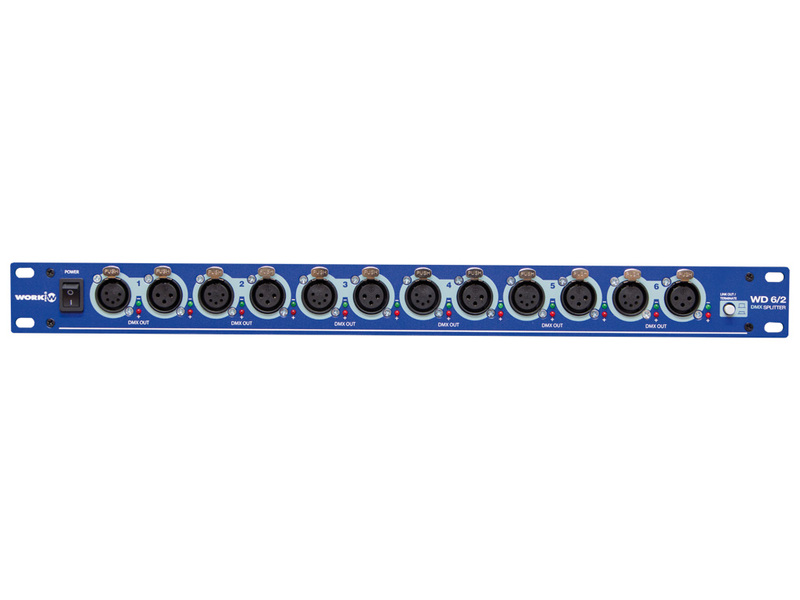 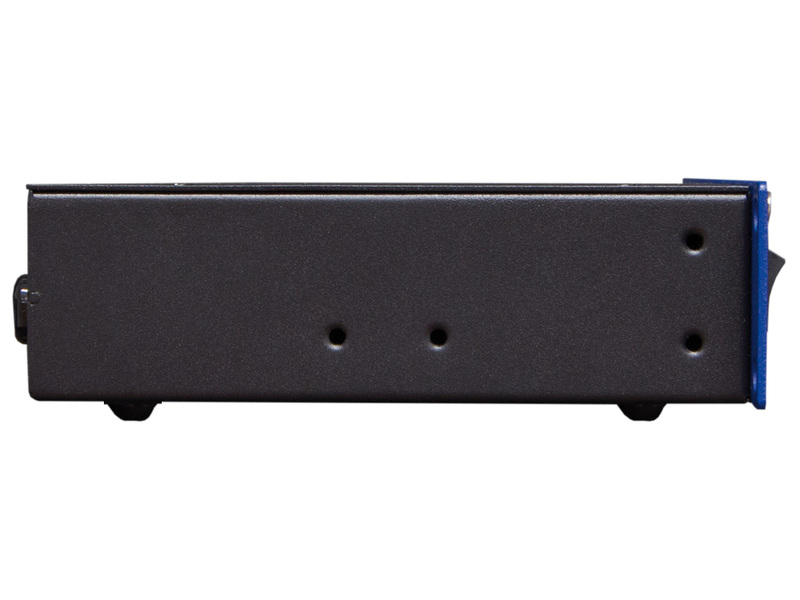 The device takes the incoming DMX signal and splits it into six separate outputs. 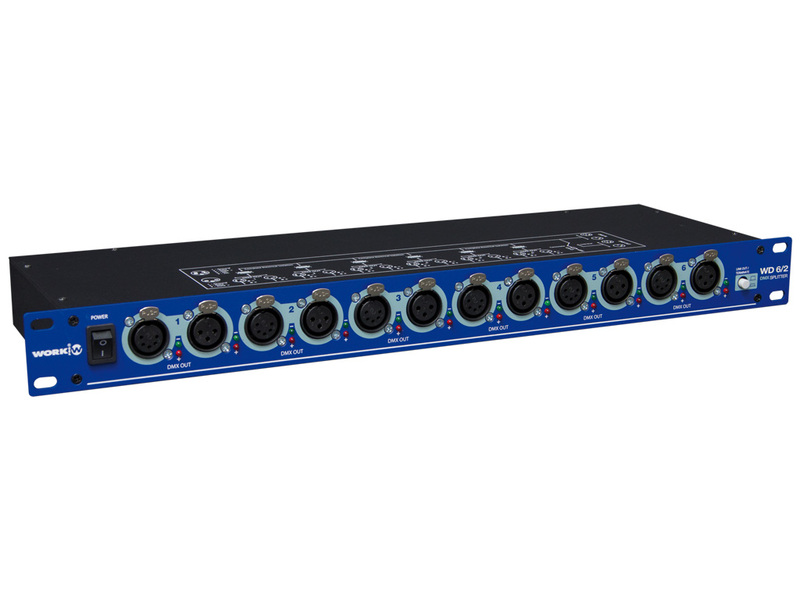 Each output and input are completely electronically isolated from each other, all six outputs have independent drivers to boost the DMX signal. 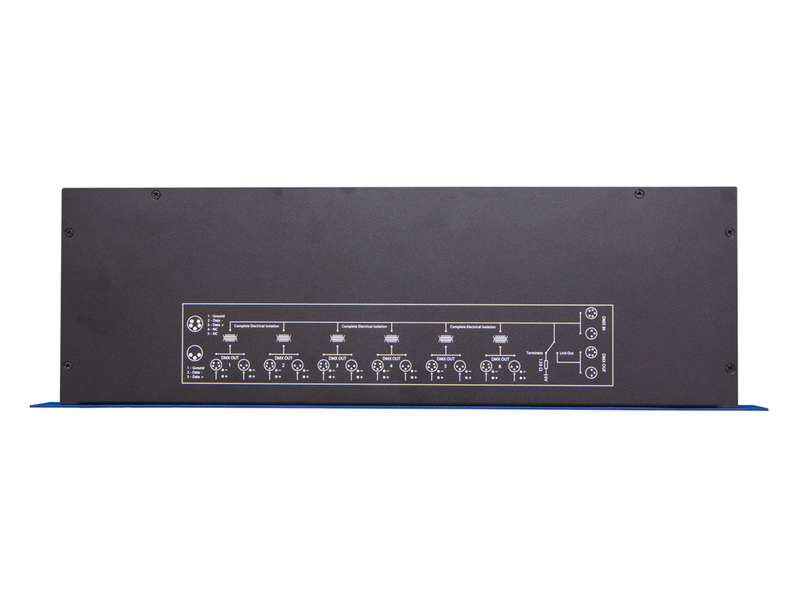 In addition, a Link out/Terminate selector is used for secure linking when you intend to terminate DMX signal. 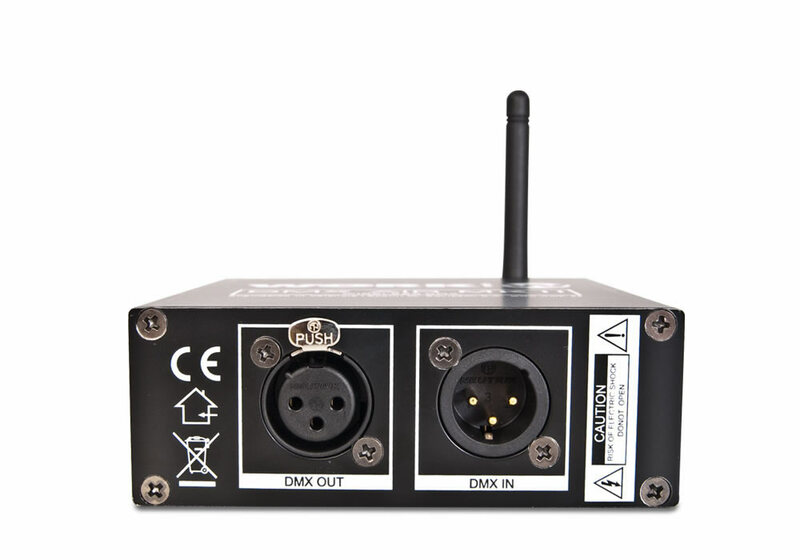 60WDI062 4096 WORK ProEquipson S.A.